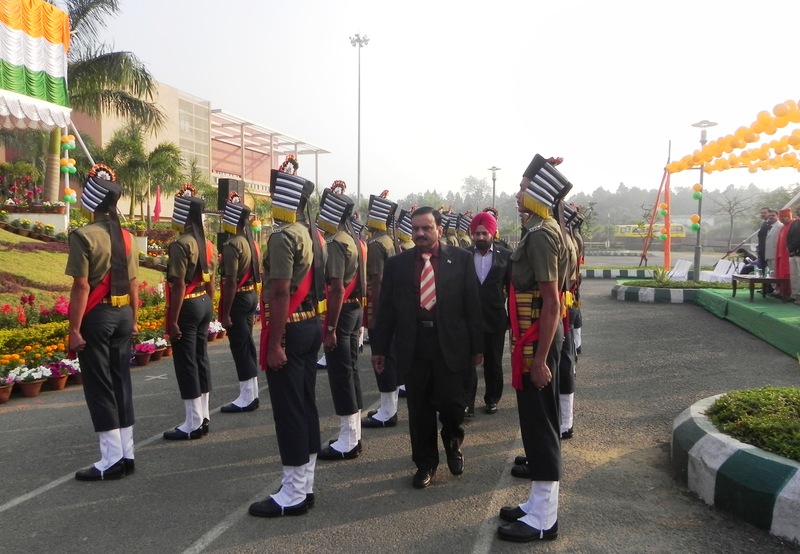 Jindal Steel & Power Ltd (JSPL) celebrated the 67th Republic Day across all its units in Odisha. In a celebration held at OP Jindal School, AngulMr. D.K. Saraogi, Executive Director (I/c) & Head of Angul location hoisted the National flag as Chief Guest. Chief Technology Officer of JSPL Group Mr.Sabyasachi Bandopadhyay graced the occasion as a Guest of Honour. Hundreds of employees, Students of the school, local Community and senior officials of JSPL participated in this patriotic celebration. 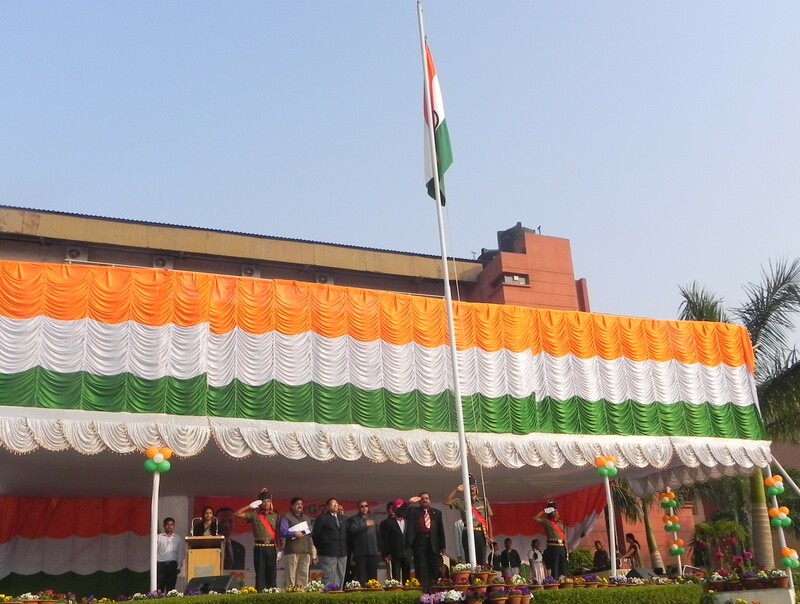 After unfurling the tricolour, Mr.Saraogireadout the Republic Day Message of Mr. Naveen Jindal, the Chairman, JSPL. “As a responsible Corporate Citizen, JSPL has been contributing towards nation building process with commitment and work for responsible industrialization and inclusive growth in India,” said Mr. Jindal in his message. He also highlighted achievements by different units of JSPL across the globe. Mr.Saraogi, in his address, thanked local people, district administration, workers and employees for their support and contribution in building this mega steel project at Angul in the heart of Odisha. He praised different departments of Angul unit for their accomplishments. Students of OP Jindal School enthralled the audience with an excellent cultural programme on various patriotic themes. Other dignitaries present on the occasion were EVP & Head (SMS & DRI) Mr. Damodar Mittal, EVP & Head (Finance) Mr. Shishir Goyal, EVP – Power Plant Mr. Goutam Chandra, Vice President –HR&ES Mr. CD Mathew, Swami Satyabindu Saraswati, Yoga Guru; Chief Security Office Mr. Ajit Singh, GM (Project) Mr. Ashish Pandey; Mr. Principal of the School Mr. Chhanda Charana Das and others. JSPL participated in District Level Republic Day Celebration held at Angul. It showcased its environment friendly technology, Green Township, community development activities, vocational training activities and othersin its tableau. The Material Solution Team participated in the programme along with the tableau. Students of DAV – Savitri Jindal School presented an eye-catching dance programme on patriotic theme. This was appreciated by onlookers present in this district level celebration. The 67th Republic Day was also celebrated DAV Savitri Jindal School, Mahitala. Executive Vice President & Head (Commercial) Mr. SK Agarwal hoisted the National Flag and addressed the students. At JSPL’s pelletisation complex in Barbil, Executive Vice – President & Head of the Unit Mr. TS Shanbhogue hoisted the national flag and addressed the employees, workers its Plant Complex. He also felicitated different workers for their exemplary work. During the occasion, JSPL team distributed sweets among 20 schools and three clubs, covering around 4500 children. At its Tensa Unit, A.V.P & Head (Mines) Mr. Y. Nagendra unfurled the national flag in presence of employees and their families. EVP & Head (Corporate Communication) Mr. Prashant Kumar Hota hoisted the tricolour at JSPL’s Bhubaneswar Office and readout the inspiring message of Chairman of JSPL which addresses the employees to rededicate themselves towards Nation building.